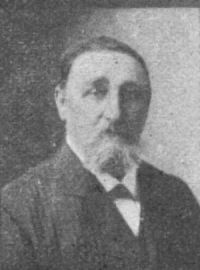 Born on November 21, 1847 in Denmark, Anders Vestergaard spent his early life in his native country and was in the Danish army for many years. He served on the Danish frontier in the Franco-Prussian War of 1870-1. He resigned from the army and in 1878 came out to Australia. He went first to Warwick, where he stayed for some time, then in 1882, he came to Mackay and worked on the erection of the Homebush Mill. 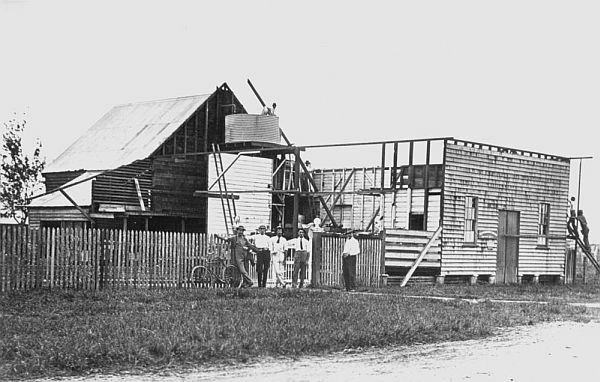 Soon afterwards he left Mackay and went to Townsville, but returned to Mackay to work at Morthensen’s Aerated Water Factory in Peel Street. Once more he left Mackay, this time taking up residence near Brisbane. In 1886 he came back again and started in business as a cordial maker in a small shop on the site on the corner of Sydney and Gordon Streets adjacent to the recently demolished site of the Old Mater Hospital. In 1890 he shifted his factory over to Gregory Street to Mrs. Barron’s premises where the St Patrick’s College is now, and he was there till 1904, when he built a factory in Victoria Street. This factory stood until demolished in 1988 and Cook’s Furniture display room was built. 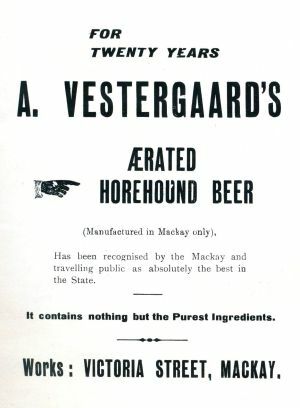 The business carried on under the Vestergaard’s name after Anders died in 1930 however there was no longer any family involvement. 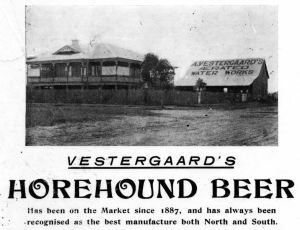 The business was sold in 1945 to Ben Shambrook who like his father had worked at the Vestergaard's factory since the 1930's. 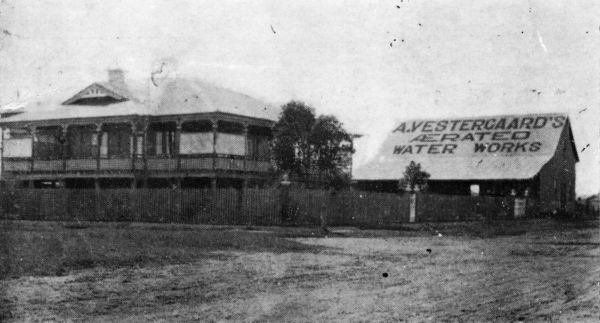 The old Vestergaard house once stood on the corner of Peel and Victoria Streets was moved to the site of the St. Vincent De Paul home for the aged in West Mackay and later demolished some years ago to be replaced by newer buildings. The Daily Mercury, (1930, January 28), Obituary - Mr. Anders Vestergaard. p.8. The Daily Mercury, (1987, August 31), Return trip a dream come true. p.4. The Daily Mercury, (1988, June 7), Old landmark makes way for progress. p.4. The Daily Mercury, (1988, October 12), Man's collection a real bottler. p.2. The old Vestergaard factory in Victoria Street and the Vestergaard home on the corner on a site now occupied by Mengs Tyres (2005). The house was later moved to Dupuy Street where it became part of the St. Vincent De Paul home for the Aged. It has since been demolished. The old factory was demolished in 1988. The old Vestergaard factory in Victoria Street in the aftermath of the Great 1918 Cyclone. 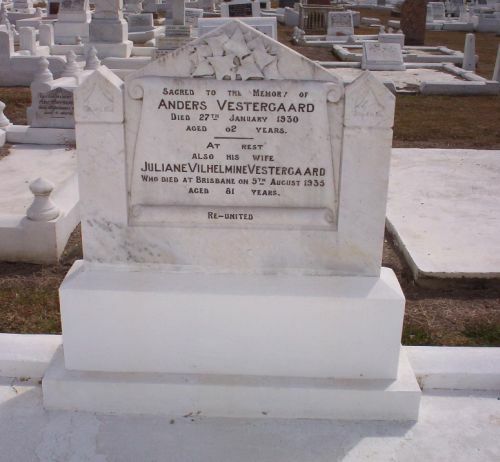 Anders Vestergaard's Headstone at the Old Mackay Cemetery. A green glass embossed blob top bottle. A Vestergaard's Stone Ginger Beer bottle with a champagne neck. 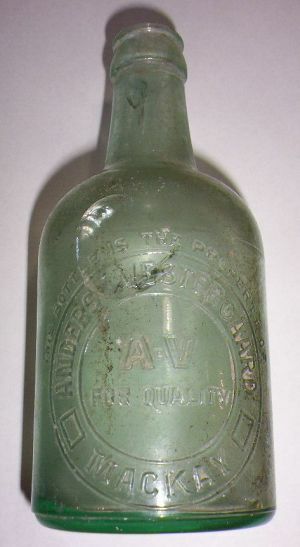 A Vestergaard's crown cap glass bottle. 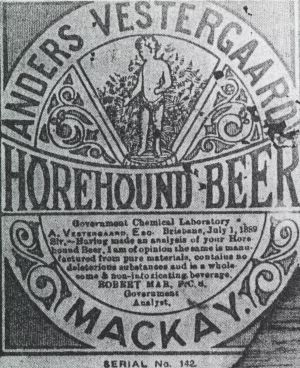 example of an early Vestergaard's label.